Full coverage concealer that leaves skin looking natural and flawless. Laura's original creation and an absolute must-have in any artist's kit. With more pigment than a traditional concealer, this longwearing formula covers completely to retouch flaws one by one. Instantly camouflages blemishes, shadows, scars, capillaries, discolorations, redness and age spots. The unique two-shade compact allows you to customize exactly the right shade and undertone to match your skin tone every day, any time of year. Apply where needed and build for full coverage and a natural finish. Ideal for all skin types. Start by creating your custom color blend: Use the Secret Camouflage Brush (sold separately), warming and mixing the two shades on the back of your hand until you find the blend that matches your skin tone. 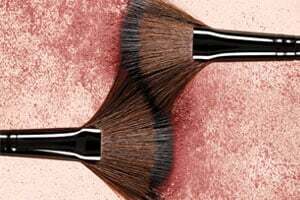 Wipe excess formula off the brush before applying; you don't need very much of this high-pigment formula. Then use feather-light strokes to apply to the areas of the face that need covering, concealing or camouflaging. After applying with the brush, pat in gently with fingertips. Set with Powder if desired. (SC-1 – SC-8): Diethylene Glycol, Diethylhexanoate/Diisononanoate, Paraffin, Hydrogenated Polyisobutene, Octyldodecanol, Ethylhexyl Isononanoate, Euphorbia Cerifera (Candelilla) Wax (Candelilla Cera), Polymethyl Methacrylate, Copernicia Cerifera (Carnauba) Wax (Cera Carnauba), Phenoxyethanol, Glyceryl Stearate, Tocopherol, Isopropyl Myristate, Oleth-10, Retinyl Palmitate, Ascorbyl Palmitate, Water (Aqua), Silica, Chamomilla Recutita (Matricaria) Flower Extract, Honey Extract (Mel), Potassium Sorbate, Hexylene Glycol, Caprylyl Glycol, Tetrapeptide-14, Titanium Dioxide (CI 77891), Iron Oxides (CI 77492), Mica (CI 77019). May Contain (+/-): Iron Oxides (CI 77491, CI 77499), Ultramarines (CI 77007).